Watsonville, CA - Santa Cruz County Fair manager Michael Bethke has announced that contracts for the position of Entertainment Director and Director of Marketing and Publicity have been tentatively awarded. The result of the RFP process led to naming Read Zaro as Entertainment Director and the writer of this release, Steve Stagnaro, to oversee marketing and publicity at the Fair. The respective contacts will be formally approved at the February meeting of the fair board of directors scheduled for Tuesday, February 22, 2011. The Santa Cruz County Fair celebrates the rich agricultural history of our community and people, and invests heavily in bringing this heritage to our youth. 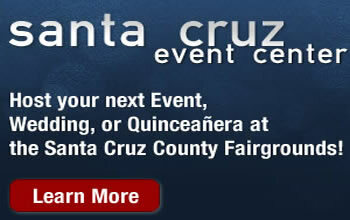 The 2011 Fair will be held September 13-18, 2011 at the Fairgrounds located on Highway 152 just east of Watsonville.